Being in the military can be tough on relationships. In fact, they have one of the highest divorce rates. 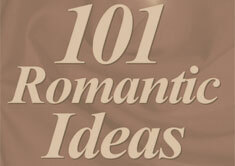 Here are some creative ideas on keeping the romance alive even when you are separated for tours, jobs and deployments.